CTO at Clouds On Mars, former Microsoft employee as Data Insights Product Manager for Poland. In 2007 Pawel started Polish SQL Server User Group (PLSSUG), currently known as Data Community Poland, an official PASS Chapter in Poland. Pawel has been a speaker at many conferences in Poland and worldwide (e.g. SQLDay, SQLSaturday, European PASS Conference). Six times Microsoft Most Valuable Professional (MVP). Father of three. Avid runner. This talk has taken place during SQL Saturday #824 in Krakow (Poland) on 9th February 2019 (Saturday). Interviewers: Kamil Nowinski, Michal Sadowski. Do you know which conference was inspired by the SQLBits conference? How to make a success as a team at work? What’s important in your public speaking? Don’t you have time to read? You can listen to this as a podcast! Wherever you are, whatever you use. Just use the player directly from this site (above), find it on Spreaker, Apple Podcasts, Spotify (new!) or simply download MP3. Enjoy! KN: Thank you for accepting the invitation to this podcast. PP: The pleasure is mine. KN: Cool. At the beginning could you tell us what your name is and where you live? PP: OK, my name is Paweł Potasiński, I live in Warsaw, Poland for my whole life. KN: Cool. What are you doing for a living? PP: I work as a CTO [Chief Technology Officer] at Clouds on Mars Company, it’s small… You can call it a start-up. We are the partner of Microsoft, focused mainly on polish market, but I’d say spreading more over Europe and also having some of the businesses in US. KN: Which part of Europe you’re focusing on as well? PP: Usually in those well-positioned countries like Switzerland, the Netherlands. KN: What kind of position do you have there? PP: My job is to keep an eye on technologies. To let’s say, drive directions for the whole company, in which technologies we should create our solutions and our products. We’re not focused on solutions, we try to figure out some products. Mainly related to analytics, BI [Business Intelligence], AI [Artificial Inteligence] stuff. I have a 5-people team, they’re called ‘SPEC Team’. You can call it something like special forces in the company. All those guys are architects with different skills, so I have a big data guy, I have an analytics guy, the guys who are skilled with SQL Data Warehouse and stuff like this. KN: Do you focus only on Microsoft solutions? PP: Yes, pure, 100% Microsoft partner. Currently, we are not heading towards any different vendor. KN: You have been working for Microsoft for several years. Tell me more about your experiences from that period of time. PP: It was a good time actually. I started in 2012 I guess and worked there for 4.5 years. So my first role was something called Partner Technology Advisor. This role doesn’t exist anymore, it’s now called Partner Technology Strategist, I guess. By that time the job responsibilities were to take care of the partners, recruit partners, to work on the specific Microsoft technologies. My job, as you may imagine, was to capture different partners to work with SQL, to believe that SQL Server is the best database platform in the world. After 3 years I moved to the marketing role. It was Product Manager on SQL Server as well. And then it was called Data Platform Product Manager. So then my responsibilities were to drive strategy on the Polish market, how to position Azure and SQL Server, Power BI among different competing technologies. KN: Losing touch with technology, yeah? PP: Yeah, just getting rusty. MS: Let’s move a few years back. How did you start working with SQL Server? PP: I was doing my studies. There is a guy, his name is Włodzimierz Dąbrowski, you may remember this name. He’s a PhD at Warsaw University of Technology. He started my journey with SQL Server, it was with SQL Server 7.0. I did my master thesis, it was somehow related to SQL Server, I analysed several web-based technologies, how they worked and cooperated with SQL Server. That was my beginning. And then I had a job which partially was related to database administration. It was not just SQL Server, but also some PostgreSQL databases, that’s how it started. At first, I was a DBA you can say, then I moved to T-SQL developer and trainer. And finally, I landed in the BI land, so I started to deliver Data Warehousing and BI. Somehow people associate me with this, but I really have more to do about T-SQL than MDX and DAX. MS: Looks like a very long journey, but also a very interesting one. You are the founder of the Polish SQL Server User Group. And you’ve been president of that organization. KN: Named Data Community Poland. MS: Exactly. Can you tell us a few words about that organization, what was the driving force behind setting it up? PP: I think that the roots of this organization, this organization right now, formal association… Originally it was not like that, it was a group of people just meeting and talking about SQL Server, purely colleagues, friends. 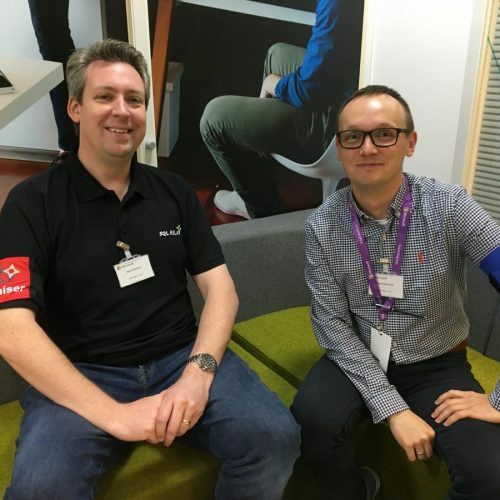 We didn’t want to make it formal actually, but we observed that this time when we meet each other and talk to each other about SQL Server, share our observations, practices, maybe some codings, is a well spent time. It was a good investment. So there were a couple of people that over that time became familiar like Maciej Pilecki. He was already a well-known and famous speaker. 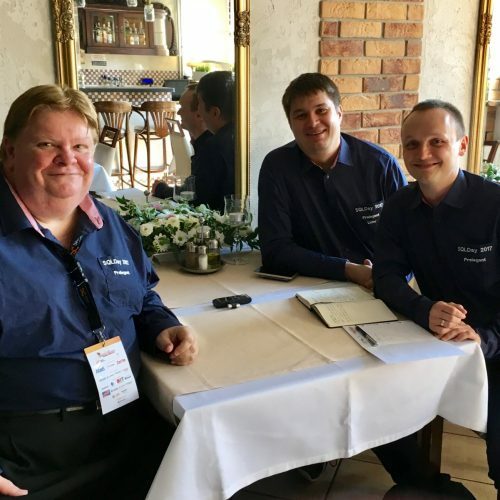 Marek Adamczuk, Radek Kępa, you may know those guys because they somehow became well-recognized experts in Poland and sometimes over the world like Marcin Szeliga for example. So we just figured out that it could be a good idea to make those meeting more official and maybe bring some more people onboard, because, as we spread among different companies, we observed that there are lots of, I would say, smart people working hard with T-SQL and SQL Server, knowing some details that may be just forgotten and even not observed by other guys. So, the purpose of Polish SQL Server User Group was to bring those guys and share their knowledge. MS: You’re presenting around the world and I would like to ask about the child of the Polish SQL Server User Group, so SQLDay Conference. How does it compare to other international events? PP: I’d say it looks very good. Of course, at the beginning, we had to be inspired by bigger conferences like SQLBits in the UK, definitely one of our inspirations. But over time I think SQLDay became something that is a very, very famous brand across Europe and probably over the world. By inviting guys from Redmond, from the US, I think, you guys are doing a good job in spreading the word. I think we, as an association, are recognised also anywhere you go and ask about SQL Server and Microsoft Data Platform in general. So yeah, good job. KN: True, the SQLDay event is very recognizable not only in Poland. Last year the tickets were sold out 2 months before the conference started. PP: Definitely what people like about SQLDay is the community that somehow happened here, it was created for 3 years. Probably our Polish hospitality is also what is recognised, because we are really nice people for the speakers, for the attendees from different countries, so yes. KN: You’re also speaking a lot, not only in Poland, but also at different, other different conferences. PP: Now it’s not like that. You have some old data. I’m not travelling around the world anymore, I just focus rather on Polish conferences locally, but it’s just because I’m a family man, so it just takes time to travel. Right now, after having the third baby, I’m just a bit more of a domestic guy. So you may meet me here, at SQL Saturday, at SQLDay definitely in Poland. I consider going to some neighbourhood countries, maybe Czech Republic or Slovakia, maybe Germany, but it’s not the time. I have to wait a while for my youngest kid to rise. KN: Yeah, because we didn’t mention at the beginning that we’re sitting right in the SQL Saturday in Krakow. After this interview, you are going to present a session. OK, so the next question is how do you prepare for a speech? PP: Well, over time it became a bit easier. 3 years I learned that. The most important thing about your session is how clear you are in your speech. It’s about setting some goals just at the very beginning, so start with ‘Why are you presenting this session?’. Then bring some facts to the table, never rely on documentation or things that were created by somebody else, which you probably haven’t tested in any serious project. If you have real-world stuff to show, it’s definitely easier to bring something to the attendees. And also right now I became a bit lazy, because usually, I have a co-speaker, which makes things double easier. So each time we just spread the work between two people. 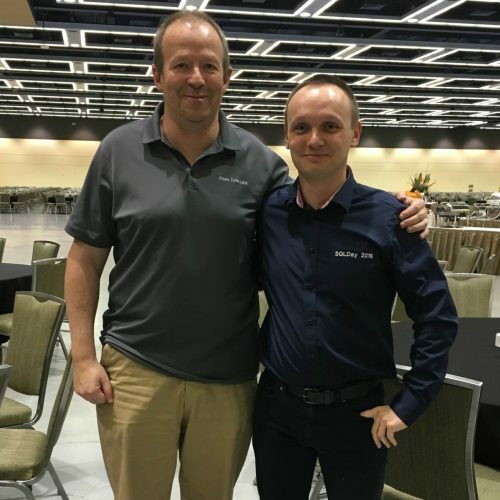 So at this moment, I have a session with my friend from Clouds on Mars, Paweł Kruczkowski, big data architect in my team. He’s responsible for some of the demos in our today’s presentation. MS: You have mentioned that you are a father of three kids. And also I know that you are an avid runner. How do you prioritize those things together? PP: That’s a very difficult question. Definitely the very first number is family. That’s why I rarely have time to be a part of any races or attend some foreign conferences. That’s changed with the third kid. The family is first, running is definitely the last one. So, I think, work and community is still number two and running is something that is just present in my life, because I just found out years ago that it may save my life actually. If you’re getting heavier and heavier there’s nothing good about your health, so I really encourage people to start doing something to become healthy. It can change your life and make you feel better. KN: So how this work-life balance works for you? PP: It doesn’t work. There is always some area that suffers from others. So now, when I have an intense time at home and at work, running suffers a lot. Let me give you an example by numbers, SQL guys, we love numbers. In 2015 I ran 3500 km per year, which makes it like 10 km per day. Right now I run maybe 1500 a year, which is over twice less than 4 years ago. KN: Still very good, I think. PP: I know, for people who don’t run it seems a lot, but it means that you run three times a week, 10 km each run. So it’s not that bad, but definitely less than in my history. PP: You look like you’re running. KN: Some of your activities are on your technical blog. How do you find a time, inspiration for the posts? PP: You asked me the killing question, because my blog is dead for some time. I promised myself to start over and keep on blogging, but it’s so difficult. Especially that some of the activities planned by myself always are around my work. So, I think I may be visible rather on some blog or video-blog of my company in the next couple of months than on my own blog. Sorry, but this blog is more a memory than something that is actual. You can find some historical entries like things around historical versions of SQL Server. KN: Yeah, but finger crossed for your New Year resolution. PP: Yeah, that’s a resolution, definitely, yeah. MS: You’ve been working for Microsoft and you’ve been awarded an MVP award. What do you think about the MVP program those days? PP: I think it’s unique and actually I think we are fortunate to be MVP on Data Platform or AI because some of the guys here are also AI MVPs. The reason why we are fortunate is that because the products groups that are built around Data Platform of Microsoft seems to be unique. The contact, the intensity of the contact with those product groups while I’m an MVP is very unique. I mean, I can ask practically every single question and I’m answered, let’s say, in a few hours usually. So the contact with other MVPs, the contact with product groups is something that brings the most value to this program. The network built around the world, definitely. KN: We’ll be out of networking in March, MVP Summit. PP: Definitely I’m going there. PP: Losing 30 kilos. And also convincing my wife to have the next child after, over 10 years of break. KN: You’re talking about the third one? PP: Yeah, the third one is now… It was actually not over 10 years, the third is 2,5 while my sons are 14 and 11, so that makes a huge difference. It’s tough to be a newly-born parent again, because it seems like it’s the first one, it’s the first girl we have. That’s something different. KN: Yeah, that was the challenge, I can imagine. PP: You have to remember everything that you’ve done in the past, so yeah. KN: Yeah, I already forgot all those things from the beginning. PP: But it’s definitely worth that. KN: And about the kilos. You lost those kilograms many years ago I think, yes? PP: Yes, I started running in 2012, I guess. I started my job at Microsoft, so I decided to at least lose some kilos, because definitely that was a stressful moment for me. I just stepped into an international company with a different culture, different, I’d say, speed of work. That was something that came to my mind, so I decided to do something for myself. And I was running and I don’t regret that. It was a good time. And I continue that with maybe not with as many successes in terms of beating my personal records, but still running. MS: Which part of your work is the hardest one in terms of being a CTO? PP: Definitely it’s people management. You may imagine how hard it is if you have 5, maybe more employees to manage. Each one is a senior guy, each one with different skills. Probably the biggest challenge is to switch from the “answerer”, as I call myself, and I usually was the guy who answered all the questions. Now I have to bring the answers out from all those guys to all the people who need answers to our technical questions. When I talk to my team, I usually say ‘Guys, my success is to make you smarter than me. If we prove to our colleagues at the company and our clients that you are smarter than me, then we’re done. Then the job is done’. PP: I observe how those people work every day. I think they get more and more convinced that there are some areas that I just didn’t cover. Because there’s no time to follow all the technologies. Especially now, when you have not just SQL Server, the single version, but you have Azure with hundreds of services and open source world coming in. So we just divide all those technologies among many people, that makes things easier, definitely. KN: What hints would you give to young people who want to start working in the IT market? PP: Build your network, definitely, so SQL Saturday, SQLDay, the conferences that fit your interests are definitely something you should attend, no matter what. Meet people, talk to people. There are lots of open people who will advise you, who will talk to you about technology. You don’t have to be an expert. You should pick 1 or 2 technologies which you should stick to and be an expert. Try to make this decision wisely, because you may see that some of the technologies devaluate quickly, so that’s a crucial decision for you. But also do not close yourself for different technologies. I’m not just talking about Microsoft. If you get familiar with different technologies from different vendors, you’re one step ahead, because you know that your clients may be not that fascinated about the Microsoft world, because they’ve seen something different. KN: And then we are going smoothly to the next question. Microsoft did very well in Azure SQL Data Warehouse compared to its competitors in this area. So either from a performance perspective, as well as from a financial perspective. Have you had a chance to work with other products in this area, comparing them? PP: Actually as I moved towards analytics and data warehousing, I rather played with other Big Data engines, PaaS [Platform as a Service] Big Data engines, so I had some benchmarks against RedShift and Google BigQuery. So that was not actually pure relational engines. About what you’re saying on SQL Database. Actually, if you look at SQL Database from a SQL Server admin perspective, a developer perspective, there is something that is really meaningful, I mean, those databases are used around the world, but still I think there are some little and bigger things that can change in Microsoft’s offering. What I mean by that is, for example, we’ve seen moving from DTUs [Database Transaction Units] to vCore last time. Most of the newest versions of SQL Database, I mean Managed Instances, Hyperscale and stuff like this, they rely on vCore. However, if you compare, how vCore relates to Memory, then you’re not so happy. I don’t find it a very, I’d say, attractive offer to have one vCore corresponding to 5.5 gigs of RAM. There’s still lots to do, but yes, it’s definitely a good direction that the well-known and a really great SQL Server engine is moved to the PaaS services. And if I compare what I’ve seen about the Big Data and Warehousing tools, Microsoft definitely did a good job also by providing well-known interfaces like T-SQL language everywhere they can. If you observe the newest announcements, yesterday they announced the general availability of Data Explorer in Azure. It’s custom. It’s also based on the assumption that you might bring some T-SQL skills, some T-SQL queries and then operate on really Big Data stuff, doing thing in a matter of sub-seconds. So very cool stuff. KN: And for all the orchestration processes. What do you use in the company? PP: We actually stick to SQL Server Integration Services. Eventually moving towards Azure Data Factory with some of the use cases addressed by Databricks. We look forward to Data Factory, Data Flows and Mapping Data Flows, but for now yes, SQL Server Integration. Mostly because we got used to all the goodies like BIML stuff. However, what we see nowadays is that because of the slow start, sorry to say that, but slow start of Data Factory, some of our clients are using, for example, Air Flow to operate ETL processes and data orchestration. MS: You’re working a lot of cloud products as you have mentioned, like Azure SQL Data Warehouse. From your experience, how many customers are ready to migrate to Azure from on-premises to cloud? PP: Actually I’d say it’s easier to start new businesses and new projects than migrate. Migration is always a pain because there are lots of legacies. In Polish companies, you may find definitely lots of legacy systems, which are hard to migrate because of many things. Logic spread among databases, different old technologies. Lots of factors actually. It’s usually a big project to migrate something and you may not be satisfied by the argument of just having pure cloud. But if you’re going to start a new project, the pace, the fast start of the cloud and the fact that you may operate with the cost, which is just another part of your optimization, is really something that people are just deciding more and more to get into the cloud. KN: Do you observe that more companies are going to migrate? KN: Yeah, it’s absolutely easier to start doing new product, a new solution in the cloud. PP: Actually Clouds on Mars is the first company that working for this company I have an impression that I have more cloud clients than on-prem clients. So definitely we have like 70% of cloud deployments over on-prem. But even if our client deploys on-prem, it’s always a matter of discussion and maybe providing some additional arguments to make them consider cloud as the next step. It’s changing. I remember SQLDay three or four years ago when we were sitting there at the discussion panel and Adam Machanic was mentioning that he has some Fortune 100 clients and none of them is moving to the cloud. I think Adam should visit us now and let’s revise this question, because it changed over time. I had the same impression over that time. It’s just a couple of last years that the cloud exploded. It happened. MS: As you have a lot of experience with the cloud, what do you think about the “cloud first, cloud only” that starts to become a buzzword? PP: It is a buzzword, because more and more clients are asking about how you address vendor lock-in problem. So I think in the nearest future we may observe a trend like companies focused on Data Platforms will have to bring on board people who are specialized in administration of infrastructure. By infrastructure, I mean infrastructure as a code, so pure templates, some containers stuff, things like that. Because not everybody will rely on PaaS Services. People are thinking about PaaS Services as ‘OK, so this project, if I step into this service, there will be a problem if I decide to get back, let’s say, migrate to a different cloud vendor for example’. So that’s always a question. KN: What do you think about the current trend of migration to the cloud? I mean, is it going to replace all those on-premise servers in the future? PP: No, I think SQL Server still has many, many different, unique offerings like, for example, Master Data Services or the newly created with [SQL Server] 2019 Big Data Clusters. It’s not like it’s going to finish, but it’s going to be more hybrid. I think we observe, let’s say, a gain of stronger connection between the on-prem world and the cloud just to make the migration easier of course. KN: How do you adopt DevOps approach in your company? PP: It’s hard. I could point you to many, many feedback items at Microsoft Azure forums. We try to do that actually, we see that there is a good direction, because practically every single team at Microsoft Product Groups sees that there is a problem if we’re going to perform DevOps and CI/CD [Continuous Integration/Continuous Delivery]. Then without the appropriate tools, we’re just lost. I’m referring here to, for example, project templates for (Azure SQL) Data Warehouse, which are still missing. They are in preview, we are testing it, we’re providing feedback, but it’s not a mature product. We need that, we need also maybe some additional tools for lightweight clients like Azure Data Studio to make things more efficient to work as developers. I really invite people working with pure .NET application, because they have everything in place. But with databases, if you develop a SQL database, you’re covered, because you have a very, very good product in database project template. SSDT [SQL Server Data Tools] is not perfect, but we try to cover every single missing feature with third parties but it’s definitely there. I think the biggest problem now is to make CI/CD and DevOps with Power BI. It’s a different topic. I think they’re heading in the right direction, but still, the major things are missing there. KN: Yeah, I think this is a low priority for Microsoft right now. PP: I think it’s on high priority, but it’s difficult because of how Power BI was implemented at first. I think it’s a kind of technological dept to be paid right now. MS: Where we can find you? You have mentioned about the blog. PP: Actually I’m present usually on the Facebook discussion group of Data Community Poland, so you may find me there. Sometimes I tweet, if I remember well it’s @PawelPotasinski. From time to time I’m present at Azure communities, not just Data Community meetings, so you may also find me there. But as I mentioned, I’m a rather busy domestic family guy at the moment. Now also with my new role at the company, there’s not much time for me to perform some activities. I’m just trying to focus on the most important stuff like SQL Saturday, SQLDay. That’s why I’m here.